A rat in a ceiling, chewing on wires. Here's a rat running through the ceiling. Rats commonly live in the ceiling. You may hear them scurrying around at night, running from one part of the ceiling to the other. They love to live inside buildings. Most people hear them at night, when they are active, scuttling about inside the ceiling or in the walls. If you hear rats high up in the ceiling, it is probably the Roof Rat (Black Rat) as opposed to the Norway Rat (Brown Rat). In fact, depending on the architecture of your house, the rats are probably in the attic, which of course is the open space above your ceiling. However, they can fit in very small areas, and I've dealt with many cases of rats running in between floors. I've had to cut many dead rats out of ceilings between the first and second floor. 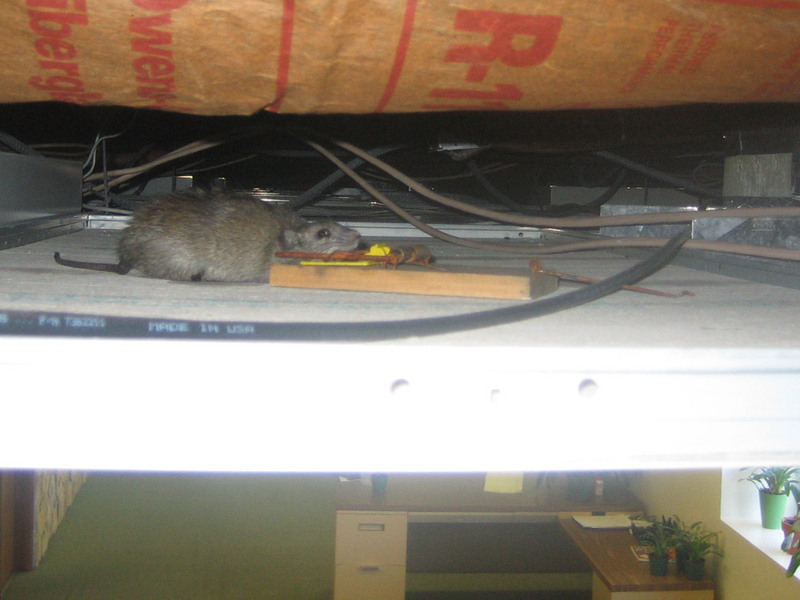 In addition, I often do rat control in office buildings, doctor's offices, etc in the drop ceiling. I pop open the tiles and that's where I catch the rats. Coming out of the ceiling with a rat. A rat trapped in a drop-ceiling. As shown in the top two photos, there's more to it than just the troubling noise at night. 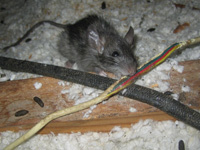 Rats can chew on electrical wires, which can lead to shorts or even electrical fires in attics. Then there's the matter of the droppings and the disease that they spread. Best to have the problem taken care of before it gets worse. For more rat control and trapping information, go back to the how to get rid of rats. If you don't live in Orlando FL, click here for the National Directory of Rat Trappers. Mouse or rat droppings in ceiling tiles - Care should be taken when you find rat or mouse droppings above a ceiling tile. With most rodent infestation, it is highly recommended that any soiled areas be thoroughly cleaned or removed. If the tile has staining that cannot be removed, you should assume that the tile also is giving off pheromones, chemical attractants for other rats or mice. 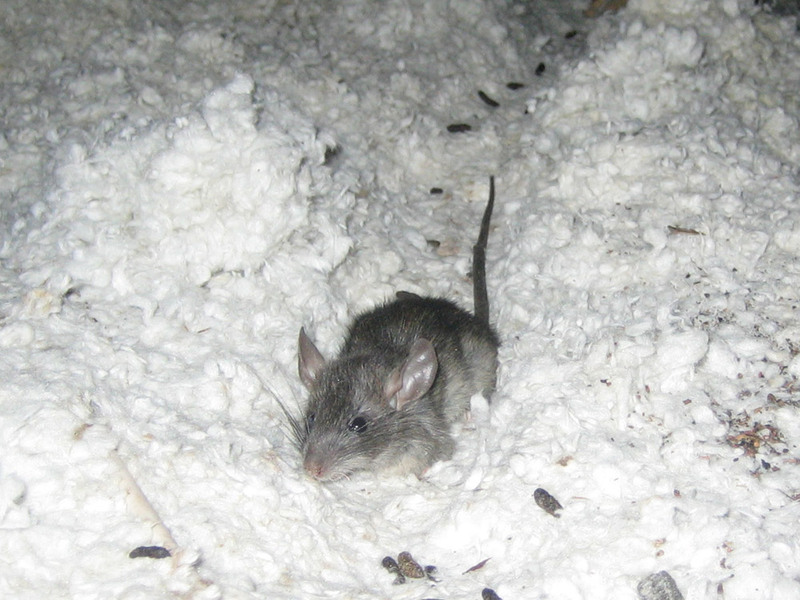 Pheromones are the main reason—aside from health concerns—to clean up after a rodent issue. Any waste that is left behind by the mice has the potential to lure in new mice. Do not try to salvage the ceiling tile if it cannot be completely cleaned. That being said, before you attempt cleanup, remember that mouse droppings will expose you to a world of zoonotic diseases, some of which can be fatal to humans. Proper protective gear should be worn when dealing with this type of mess. Gloves are very important, and you should not undervalue the importance of a respirator mask. Even though you cannot see them, there are thousands of dust particles in the air, some that have been shed from the droppings. If these particles contain something deadly, like Hantavirus, then you had better hope you are wearing that mask. 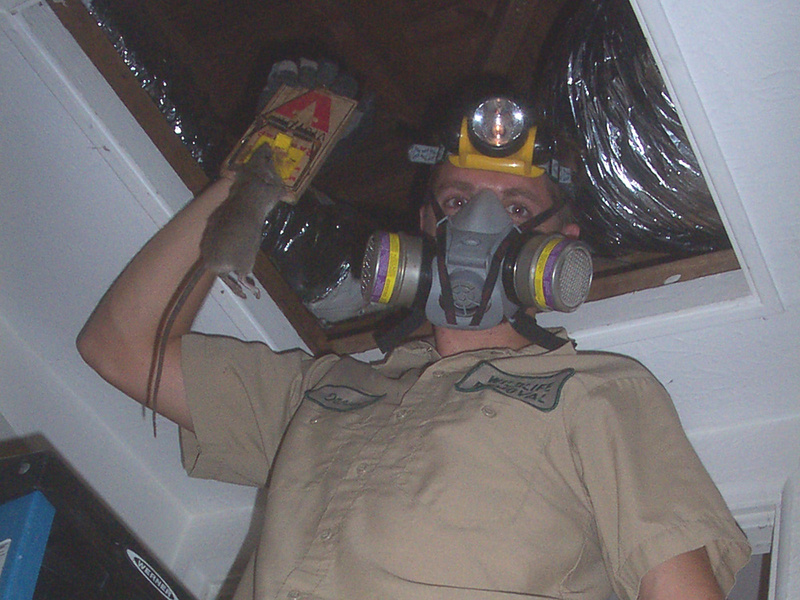 Rodent ceiling scratching Any rodent, be it mouse or rat in the ceiling, will be driven to scratching; however, the sounds you hear overhead are most likely from that animal chewing on important parts of your home. A lot of people ignore mice; this should not be the case. It is true that many homes in rural areas have a miniscule rodent issue, but it is not something that should be ignored because it is common-place. 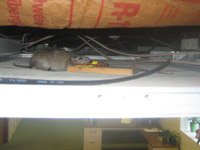 Mice will cause serious damage inside of a home. These little animals can chew on electrical cords and start house fires. The rate at which a mouse chews through substances is not slow. They may be small, but mice are chewing machines. Ignoring the issue will only make the damage more significant when you are forced to eventually deal with the infestation. Ceiling scratching means that animals have infiltrated the home somehow. That area in the exterior of the building needs to be located and repaired. Until this step happens, more mice will enter the home even if you are currently utilizing trapping methods.